The U.S. Department of Labor has issued new rules on overtime wages, raising the yearly salary limit for which overtime pay must be provided to $47,476. This executive branch decision may have broad implications for academia among other industries as postdoctoral researchers were specifically identified as being affected by this ruling. Postdoctoral researchers typically perform research in academic, government and industry positions following completion of their doctoral degree but prior to entry into more permanent positions in the research workforce. Postdocs are eligible for the new federal overtime rules as they, unlike graduate students, are involved nearly exclusively in research and not in education. Most postdocs earn a yearly salary instead of an hourly wage. This format works better for many researchers, who often find themselves coming in for early-morning time points or scrambling to meet a deadline working late into the night. 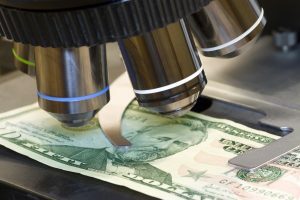 With the vast majority of the nation’s 40,000 postdocs currently earning less than the new limit, the implications of this law being implemented are not fully clear, though many individuals involved in academic and government research have weighed in on the issue, including Francis Collins, director of the National Institutes of Health. Collins, writing with the U.S. secretary of labor, expressed his full support of the pay increase but failed to address the potential effects on the postdoc industry. On top of varied schedules, postdoc salaries in the U.S. vary dramatically between research disciplines, by location and even within the same university, partially due to the funding source and competitiveness within the discipline. At Johns Hopkins, the mean postdoc salary is approximately $43,000 per year — well below the wage limit going into effect this December. Nationally, some postdocs earn as little as $30,000 yearly despite having a Ph.D., while others earn upward of $60,000 per year. Outside of the U.S., in Canada and Europe, postdoc salaries are similar and vary primarily based on the local cost of living. Despite the seemingly great news of a salary increase, some postdocs have expressed trepidation regarding the rule change. They fear it could affect the number of postdoc positions available or could require researchers to work an hourly schedule that does not align favorably with career goals. Many postdocs forced to work at an hourly wage could be forced to choose between seeing their career prospects suffer from working fewer hours or under-reporting their hours worked, which is illegal. Overall, the postdoc pay increase should be a very good thing for the sciences in the U.S. over the long term. An increase in salary, with pay maintained as a yearly salary instead of a forced hourly wage ill-aligned with motivations of an individual doing science, should result in less stressful living conditions for postdocs. These changes can help lead to better mental health and greater retention of researchers who face additional challenges in making it into academia, including minorities and women. Research universities such as Johns Hopkins have focused on preparing scientists for academic research, with research positions in industry often being “plan B.” But there aren’t enough jobs in academia to go around. Read more. Insights from Paul B. Rothman, Dean of the medical faculty and CEO of Johns Hopkins Medicine, on the future or medicine. Read more.